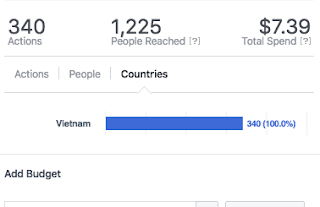 I'm going to offer my own proof that targeting advertising on Facebook towards E/SE Asia has mainly been a waste of my money, and that it may be a waste of yours if you're not careful. Naturally, your results may vary. Also, note that I'm creating wordy and borderline awkward sentences so as to not make any hard-and-fast judgements. These are observations leading me to a conclusion that something may not be 100% legit when it comes to advertising on Facebook. Before reading further, please watch the following two videos by Veritasium. If you've already seen these videos, then please skip to the next section, Background. Over the past few weeks, I've been working on a podcast project that aims to help people improve their English conversation listening skills. For the short term, I've decided to target English language learners in Japan and Vietnam, given that I speak those two languages, lived there for a short period of time, and overall have a fair sense of how those two societies operate. I also included Korea as a stretch goal, considering just how many people there study English. Since I currently live in the States and not in any of those three countries, I figured that the easiest way for me to create awareness and subsequently listenership via my website and iTunes would be to advertise on Facebook. I did a bit of research and gained a fundamental understanding of how their advertising system works. 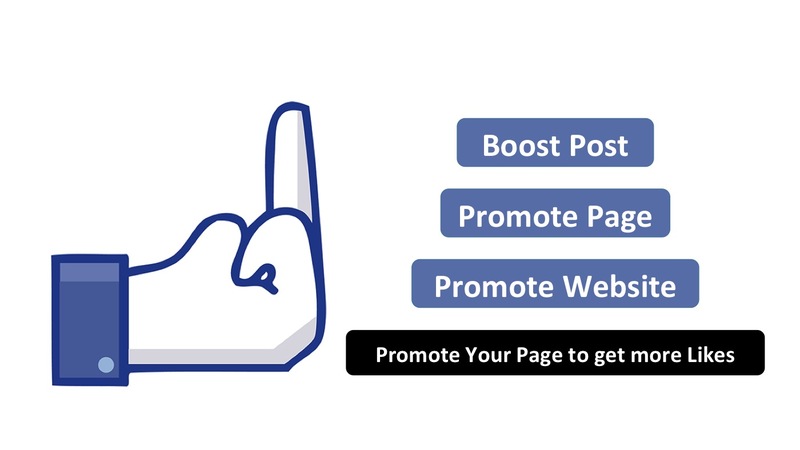 Facebook naturally makes it very easy for people like me to do things like "advertise your page" or "boost your post" by spending $5.00 and $10.00 there; they essentially nickel-and-dime you to get likes and hopefully some action on whatever call-to-action you create. Admittedly, I was going to be OK with that. I wanted to create awareness, and, as advertising goes, I'd have to pay for it. Plus, I'm very much a learn-by-doing individual. I have the spare cash (beats whatever else I was going to spend my money on), so I wanted to see how it all works. After about three weeks worth of advertising on Facebook, which included reviewing and applying Facebook's Blueprint guide, as well as multiple email correspondences and an actual conversation with a Facebook advertising specialist on how best to improve my targeting, I've come to the conclusion that 1) click/like farms help Facebook siphon money away from unsuspecting Facebook page owners who are lured into pressing one of Facebook's "Boost Today" or "Promote your Page" buttons thinking that they can easily promote their page or post to their target audience, but instead have their ad money misappropriated towards ad placements on fake or garbage accounts that won't yield any further action or engagement, and 2) Facebook doesn't want to do anything about it. Mind you, the following example was the straw that broke the camel's back, prompting me to write this post. 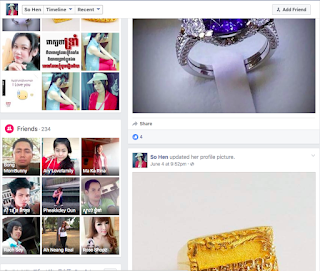 I have other evidence stored in my advertising account, but this particular instance provided me with the clearest example of potential click/like farming in Vietnam. I recently published a post to my Facebook podcast page to announce a new podcast episode. The topic of the podcast was about strong women in movies and television. I figured that this post and podcast episode would be a good chance for me to target a particular demographic--specifically women in Japan, Vietnam, and Korean--and really observe how targeted advertising through Facebook could help me increase visibility and future engagement among those studying English. In order to get this increased awareness through Facebook, naturally I'd have to pay a few bucks to "boost" my post. Fair enough, let's give it a go. Applying what I read on Facebook's Blueprint (aka advertising guidebook) and the advice I received from a phone call with a representative of Facebook's Global Marketing Solution team, I crafted a new audience group as follows. After a few days of letting this ad run targeting the above audience, here are the results. Wow! 340 total actions, with 307 of them being "likes" to my boosted post! That sounds pretty cool, right? Let's take a look at where all of this action is coming from, shall we? Wait...all 340 of the actions to my boosted post came from Vietnam? That doesn't really make much sense. Speaking of age, for funzies, let's take a look at the age breakdown of these actions. 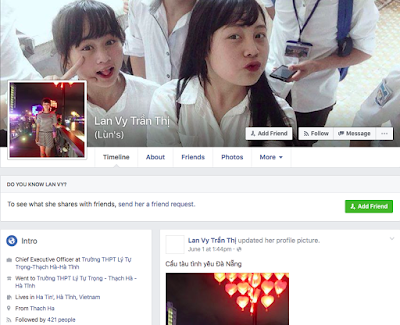 So, just who exactly are these young women in Vietnam who are liking my boosted post? I'll start with the first person on the list. 3,504 friends?! Alright, that's odd. Let's take a look at another person. Okay, this young woman is from a smaller province in Vietnam. 2,360 friends?! Even my most popular of friends here in my metropolitan city aren't anywhere close to that number. Am I completely misunderstanding how young women between 18-25 years old in Vietnam are using Facebook? Are they spending all of their time on Facebook adding tons of random strangers? Look, maybe these two young women are just that popular. I'm willing to accept that as a possibility. However, having lived in Vietnam and based on what I know of Vietnam's socioeconomics, I find this extremely hard to believe. 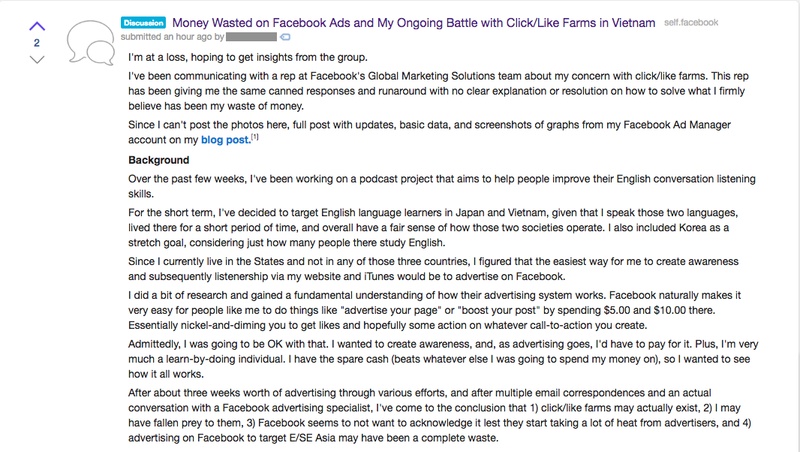 I raised the issue of 'excessive number of friends being a red flag for click/like farming in Vietnam' with "M," a representative of Facebook's Global Marketing Solution team, who I spoke to prior to boosting this post. 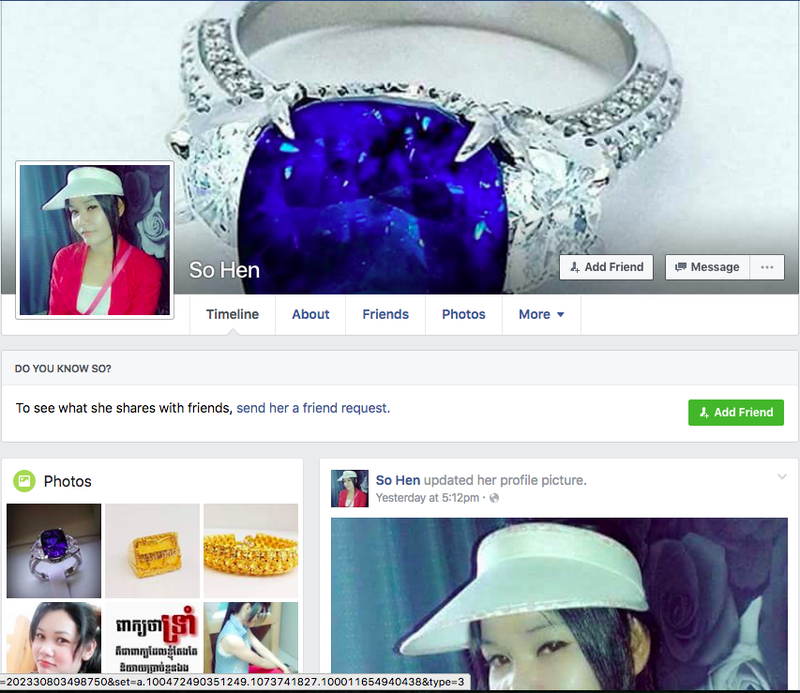 "If a profile does look fake it could be because of there user privacy settings. Depending what there settings are on can make them look fake. The number of friends they have does not matter for example i have 6,000 because I have had mine for so long. We do annual sweeps of fake accounts so the profiles are not fake, Facebook goes in and does annual sweeps of fake accounts and accounts that are not being used anymore. The viewers can see your ad by there friends on Facebook who has like there page. There are many ways they can see your ad but we do annual sweeps to prevent fake accounts liking ads." I've been an active member of Facebook since 2007...and I definitely don't have that many friends. 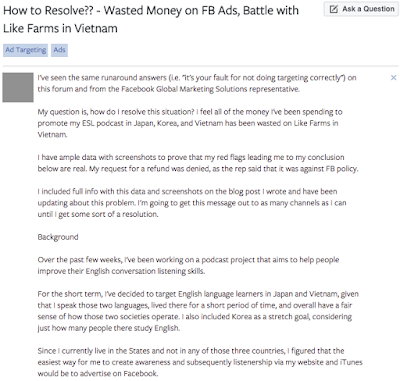 Furthermore, when I brought this concern about potential click/like farming in Vietnam up to her a couple of weeks prior to this exchange, she gave me the same canned message about Facebook doing annual sweeps of fake accounts and accounts not being used anymore. 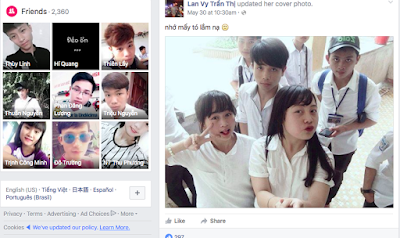 I sent another reply to M with the photo evidence above with a request to help me understand why my ad budget has skewed 100% Vietnamese women between the age of 18-25. I'll post a follow up response when I get it. Likewise, as of around 10:00 PM June 8, 2016, I modified the audience of this same boosted post, this time creating a new target audience group: Japanese women with everything else (age, interests) held constant. I'll post a follow up to that, as well. For the time being, I think that the above data plus the other pieces of data that I've collected prior to this particular incident is enough for me to determine that advertising on Facebook, at least when targeting E/SE Asian, leads to nothing but empty likes. It's the morning after I wrote this blog post and adjusted my boosted post on my podcast's Facebook page to target specifically Japanese women, holding all other demographics the same to the previous target group that included Vietnamese and Korean women. Before diving into this morning's data, it's worth mentioning that on the morning of June 6, 2016 (the day after I first boosted this particular podcast post) I received 314 impressions and 102 likes (listed in the below chart as "People Taking Action"), again all from young women in Vietnam. However, this time around, after adjusting the boosted post to only target Japanese women, I only received 55 impressions and just two likes ("People Taking Action). Just who are these two people? "So Hen" and "Yume Dasmarinas." Let's take a closer look. This is So Hen. The written language used in a few of her photos (seen lower left) is Khmer, which is from CAMBODIA. Nothing related to being Japanese or living in Japan on her page. A few scrolls lower, and it's pretty much nothing else but pictures of rings and a few selfies. This is Yume Dasmarinas. 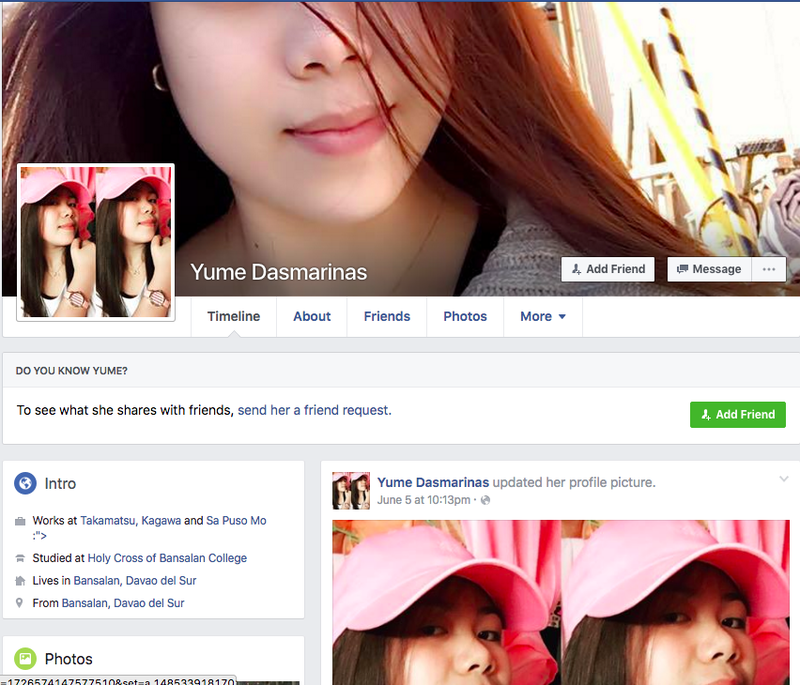 It says she works in Takamatsu city, Kagawa prefecture, Japan. However, it also says that she lives in Bansalan city, Davao del Sur province...in the PHILIPPINES. Nothing related to being Japanese or studying English on her page. In fact, many Filipino nationals already know how to speak English. 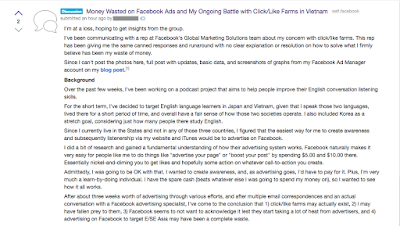 I received a reply from M, the Facebook Global Marketing Solution representative who I've been working with on these matters, regarding the stats you read above in the main section of this blog post. 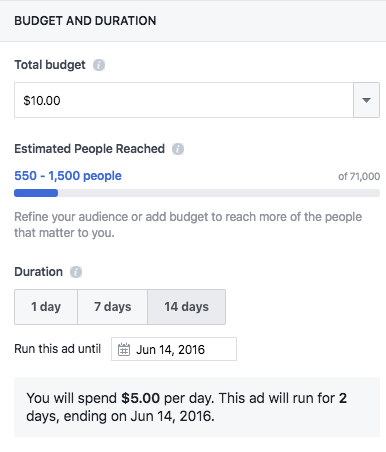 Facebook optimizes your ad and spend it where it thinks it is going to get the most bang for your buck. You might be seeing more targeting from one place from another due to this. I assure you we do annual sweep of fake accounts(this includes click farms) we do this and if we do see fake accounts we take matters into our own hands. 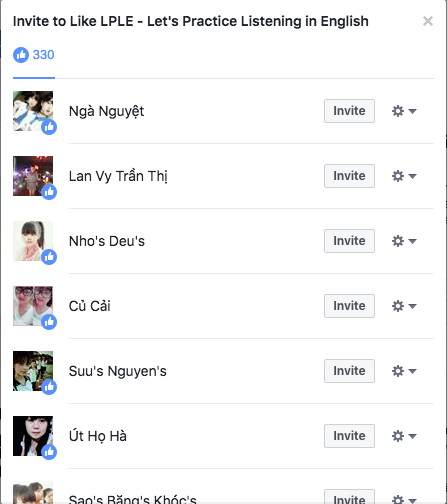 M still doesn't address why all of the likes came from only one country (Vietnam) and only one age group (18-25). I replied explaining that my most recent target group revision (Japanese women in Japan) yielded one like from a Cambodian, and one like from a Filipina. I also requested to connect with her manager to escalate the issue and to see about getting a refund for all of the ads I've created. "I can escalate you to a manager. But we are unable to submit for a refund. This goes against our polices. These were not accidental ads or budget confusion. Unfortunately we are unable to issue a refund." After I've provided ample evidence of red flags that the engagements I've received are from questionable sources, my request for a refund was denied. I look forward to speaking with the manager to see what can come of this situation. 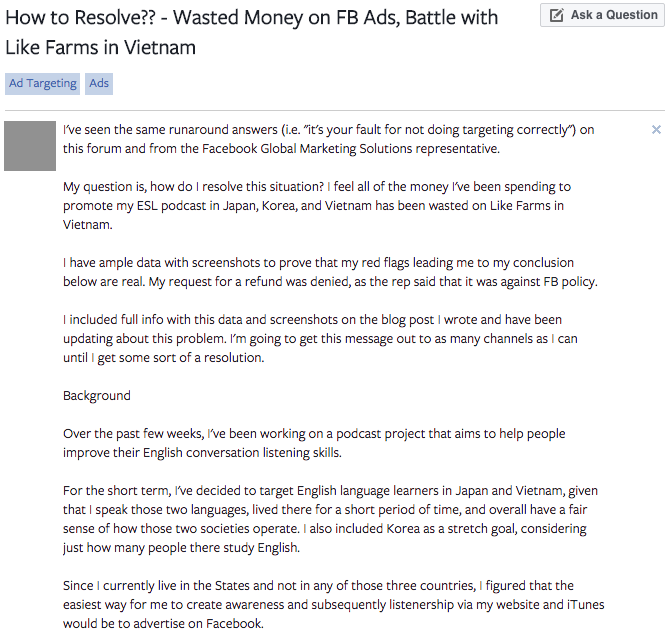 I submitted a question through the Facebook for Business - Get Help section. I also submitted a similar request and question on the /r/Facebook subreddit. Holy smokes, got a new like for my revised targeted boosted post, and this time from an actual (hopefully?) Japanese woman! 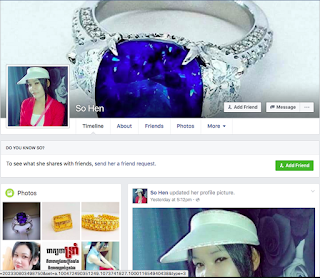 Her account looks moderately legit, so I'll mark this as a win. 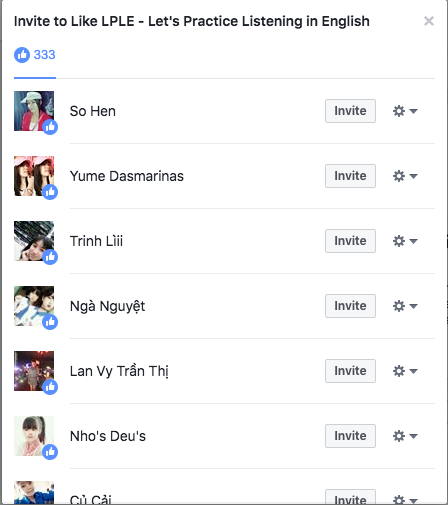 So, after revising my target audience to just Japanese woman, again, holding all other demographics constant, I went from having 100 likes (all from Vietnamese young women) in one day to just three likes in one day, and out of those likes, only come came from a Japanese woman. After requesting the FB Global Marketing Services rep to escalate my conversation up to a manager, I get a reply from someone else (we'll call him "J"). However, he didn't give his title, so I could've just been shifted to someone else. I asked him to clarify his title to make sure that I'm speaking with someone a level or two higher. He didn't read the thread that the previous rep included him in on, so I had to go through the situation again. Will summarize below. "I created the audience group focusing on my three target demos for a particular post: Japanese, Korean, and Vietnamese women between the ages 18-35, all within those three countries. (see attached). However, after a few days of running the ad...all 340 likes were 100% from Vietnam. (see attached) All things held equal, if there was even some modicum of distribution among the three countries, then wouldn't it stand to reason that I would've received some likes from Korea or Japan? Further more, 100% of those likes were between the ages of 18-25 (see attached). Again, all things held equal, if there was even some modicum of distribution among the 18-24 and 25-34 age brackets, then wouldn't it stand to reason that I would've received some likes from the 25-34 age bracket? 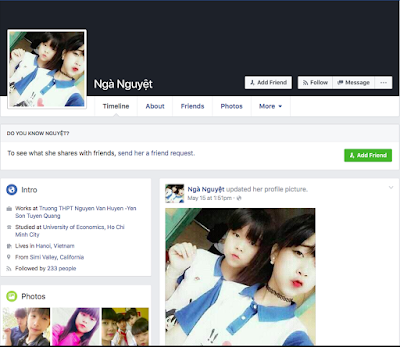 2000-4000 friends for girls in Vietnam who are still most likely just exiting high school? I know this country well. Due to socioeconomic reasons, there's no way that that's possible without them actively being on FB all the time friending as many people as possible. I've also been on FB for a long time, and I'm a rather socially active person and engaged in my community. I'm only at 1500 friends. None of this makes sense. Fake accounts can be more than accounts not being used. That's what click farms are. They're active accounts of people going in and liking everything in sight, thereby diverting ad budgets towards them and away from ideal target audiences. Can you help me better understand what's happening here? After a few weeks of doing this, I feel like I've collected enough evidence to come to the conclusion that my ad budgets aren't being allocated in manners most valuable to me as the ad purchaser." I received a few responses to my post on the Facebook subreddit regarding this situation. I want to screenshot them in the event that Facebook finds a reason to delete them. Long story short, other people seem to be aware that click/like farms exist, and two out of the three expressed their own frustrations getting unusable or useless actions from seemingly bogus accounts. 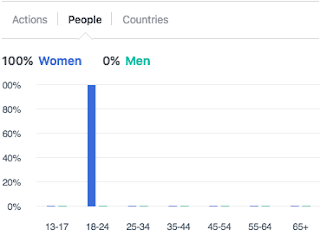 Update on likes after retargeting to just Japanese women: No new likes. At least as far as the first 24 hours goes, there's a dramatic difference between including and excluding Vietnam, and even after targeting Japan, I'm receive no engagement at all. It's been nearly 36 hours since I retargeted my boosted post from Japan, Korea, and Vietnam to just Japan. 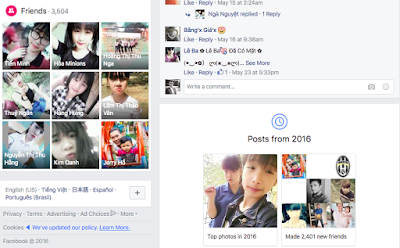 Overnight (day time in Asia), no new likes at all. 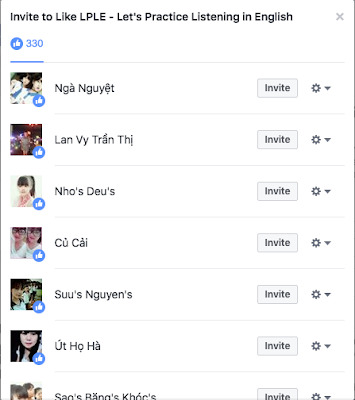 This is, of course, different from when Vietnam was in the mix, as overnight I'd receive 100 likes, all from Vietnamese young women. "Update. It's been nearly 36hrs since I retargeted my boosted post from Japan, Korean, and Vietnam to just Japan, again, holding all other demographics constant. 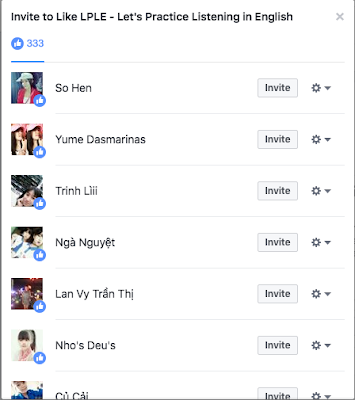 I went from having 100 likes in one day (all from Vietnamese young women) targeting JP, KR, and VN to just three likes in one day just targeting JP, and out of those likes, only come came from a Japanese woman. The other two were Cambodian and Filipino. Can you please help me understand this?? 'M' said that it's against your policy to give refunds for ads. I gather because it'll set a negative precedent and also validate that FB indeed does have a problem with click/like farms. However, the above update and entire situation is inexcusable. 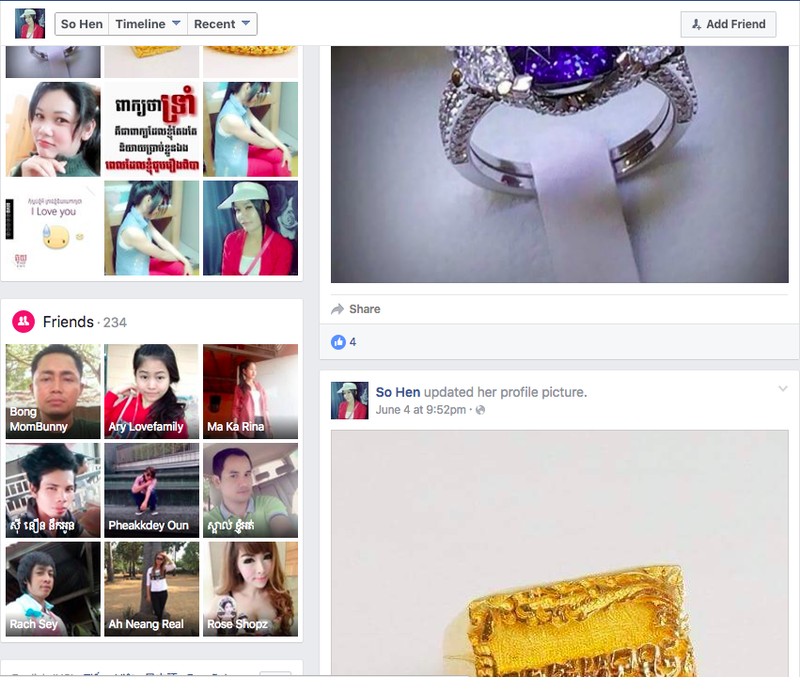 The ad money I've wasted on FB trying to target audiences in Asian have resulted in either likes from bogus or worthless profiles, or nothing at all." I received another response from J. "Thanks for your quick response. I am M's manager, and I would hope, none of the other representatives are providing you with canned responses. When you are targeting different countries, I recommend using different ad sets. This way each ad will delivery evenly to each specific country. Instead of focusing on the one getting the best results. We don't currently have a feature to evenly rotate all of the ads within an ad set. Our system is designed to select the best ad to show based on the ad's bid and performance history. Thus, an ad that performs well will be shown more often than an ad that doesn't perform well, and some of your ads may receive more impressions than other ads in the same ad set. If you'd like your ads to have a more equal opportunity to run off of a budget, we recommend placing a single ad in each ad set. This way, each ad will have a better chance of being delivered without being outperformed by another ad in the same ad set. However, each ad's performance will affect its own bid range and ads will still compete against one another in the bid auction for delivery if they target the same audience. If you notice your ad's suggested bid range increasing, it may be that the ad hasn't performed well on the site so far. We recommend making sure your ad is targeted to the most relevant audience, and using informative ad text with an eye-catching image for the best results. As M mentioned, this type of situation doesn't apply for a refund, however, we can request a coupon for the confusion. Would that suffice? Please let me know and I will pass this request to our Billing team to approve." Let's analyze this line by line, shall we? This will help us more effectively call out the nonsense that comes from FB regarding advertising, click/like farms, and garbage accounts. "When you are targeting different countries, I recommend using different ad sets. This way each ad will delivery evenly to each specific country. Instead of focusing on the one getting the best results." I did, and I explained this to M and J already. My first ad was targeted to Japan, Korea, and Vietnam, and then I revised it to just Japan. "We don't currently have a feature to evenly rotate all of the ads within an ad set. Our system is designed to select the best ad to show based on the ad's bid and performance history." This, then, gets to one of the main points of this article: Facebook lures people to "Boost A Post" with the preset budget of $5.00 per day for two days with the understanding that those Facebook page owners who click on this preset option with the intent of getting their post in front of their target audience won't actually realize that desired visibility because they aren't actually paying as much as other entities (e.g. large corporations with large marketing budgets). Now, at this point, anyone familiar with online ad bidding systems are probably screaming, "no doy, you dimwit!" Yes, I'm familiar with the ad bidding system: The more money your bid, the greater the visibility you will receive. The conclusion I'm drawing from all of this is that Facebook is potentially allowing these click/like farms to exist ("Annual sweeps"? Come on...) with the idea that a Facebook page owner who is unfamiliar with this advertising process will see all sorts of attractive buttons like "Promote Website" or "Boost Post" on their page, think that $5.00 per day for two days will actually increase the visibility of their post, and receive 100 likes overnight is going to believe that their money is actually being well spent, that they're actually getting the visibility that Facebook claims it can deliver on money spent to advertise or boost a post. However, if they drill into those accounts of those who liked their page or post, then they'll quickly learn--much like I did and the three redditors who replied to my comment on the Facebook subreddit--that those accounts are actually either fake or garbage. Sure, Facebook doesn't pay these click/like farms to go about liking random pages, but they certainly don't hurt, either, because these farms make it seem as though small-time advertisers who are just trying to get some visibility are actually getting what their small-time budget's paid for. "Thus, an ad that performs well will be shown more often than an ad that doesn't perform well, and some of your ads may receive more impressions than other ads in the same ad set." I interpret "ad that performs well" to mean "ad whose owner paid more money to have it placed on Facebook." "If you'd like your ads to have a more equal opportunity to run off of a budget, we recommend placing a single ad in each ad set. This way, each ad will have a better chance of being delivered without being outperformed by another ad in the same ad set." Again, 1) I already tried this; I didn't get any traction from focusing my ads on Japan--mainly because I probably didn't pay enough money to compete against other bidders, and 2) if this were the case, then why allow us to select more than one geography if you know that it's not going to be effective? "However, each ad's performance will affect its own bid range and ads will still compete against one another in the bid auction for delivery if they target the same audience. If you notice your ad's suggested bid range increasing, it may be that the ad hasn't performed well on the site so far." This is the general nature of complex ad bidding systems; I can accept this. That said, I want to make it clear for every new Facebook page owner who has ever seen one of above mentioned ad/boost displayed on their own page that they shouldn't even bother trying to promote their ad, page, or post if they're not willing to pay lots of money to compete against other pages of larger companies who have way more budget to spend targeting that same audience. Furthermore, if an unsuspecting new Facebook page owner did decide to spend $5.00 here or $10.00 there to advertise on Facebook, then don't trust the likes that come in, because chances are that they're from click/like farms as opposed to being from more quality audiences. "We recommend making sure your ad is targeted to the most relevant audience, and using informative ad text with an eye-catching image for the best results." As I explained to J in my previous email, I already did all of this. This sentence is business speak for, "stop being bad, and then you'll be good." "As M mentioned, this type of situation doesn't apply for a refund, however, we can request a coupon for the confusion. Would that suffice? Please let me know and I will pass this request to our Billing team to approve." "Coupon?" This is the equivalent of a casino giving me a voucher for free credits at a slot machine. 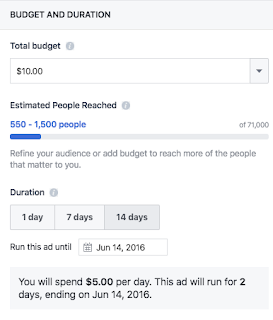 Making Facebook page owners believe that they can pay $5.00 a day for a couple days and get visibility from quality audiences is misleading. Will update when he responds. One among the many key takeaway I've gained so far from this experience is that while Facebook doesn't support click/like farms, they certainly seem to condone them as they can provide misleading results to people who think that they can follow Facebook's suggested payment of $5.00 per day to get the visibility they desire from their audience, no matter how targeted the ad buyer makes their ad. 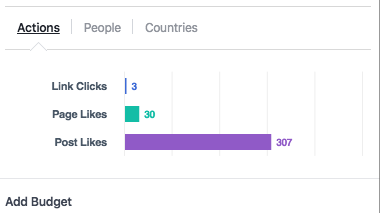 Also, worth noting that I received no new likes since targeting just the Japan audience. That ad campaign ended today. 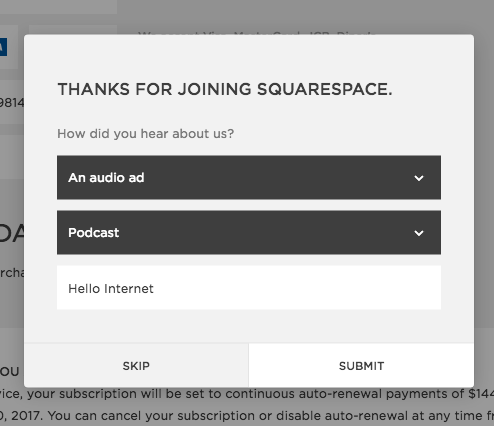 If you listen to podcasts or watch YouTube videos, chances are that you will have come across and advertisement for Squarespace. 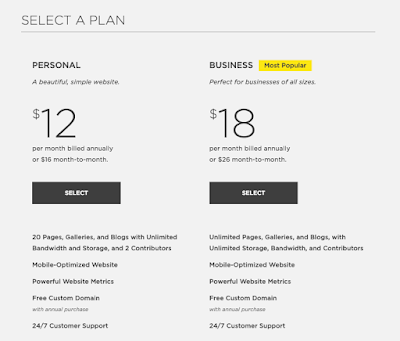 Simply put, Squarespace is an all-in-one service that allows you to create your own website. One look at Squarespace's template page and you'll quickly recognize the layout and feel from other websites you might've visited in recent past. Through my recent personal projects, I find myself creating and managing a few Squarespace pages, so, I wanted to relay these experiences to you in the event you need to create your own website through Squarespace. 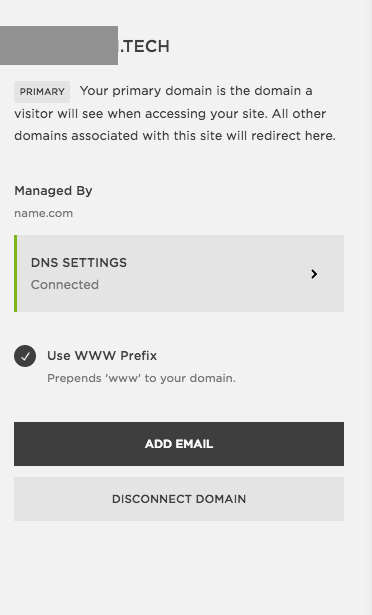 Before I continue, although Squarespace offers the option to purchase your domain through them, it's worth noting that I purchased my domains through name.com. These instructions will show you how I purchased my domain through name.com, purchased a website through Squarespace, and then connected the two. Think of a good domain name for your website, and then check to see if it's already taken and what other options are available. For example, I typed in "Ballerstatus." It turns out that ballerstatus.com is already taken, so name.com gives you other options to consider. 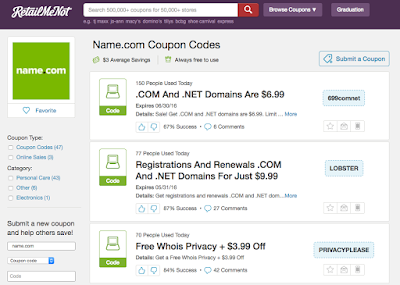 There's a lot of .xyz domains for you to consider, so use this as a chance to be creative. For one of my companies, we decided to go with a .tech domain. 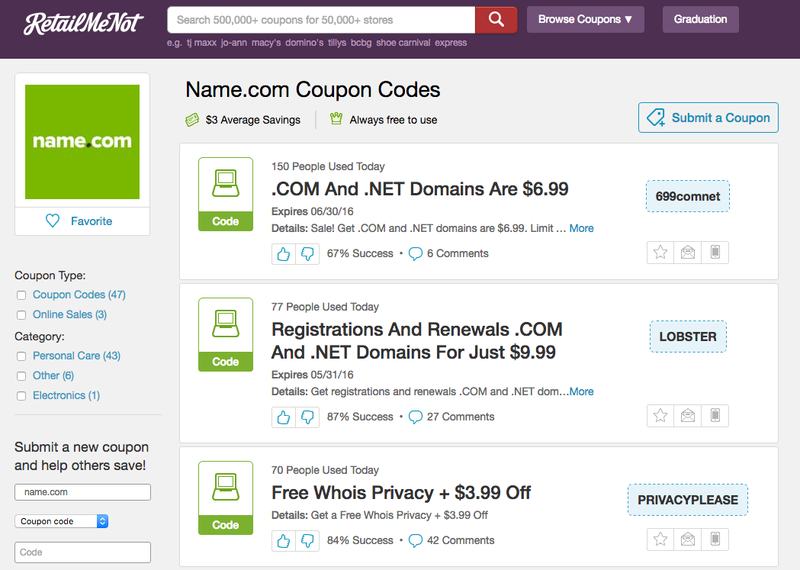 Find a coupon for name.com. Doesn't hurt to save a few dollars, now, does it? Apply the coupon code at checkout. Also, make sure you sign up for the Whois Privacy, as this helps protect your personal information associated with your website registration. After you confirm your purchase, you will be asked to enter the verification code that comes with the email confirmation of your purchase. You only have to do this one time. Congratulations! 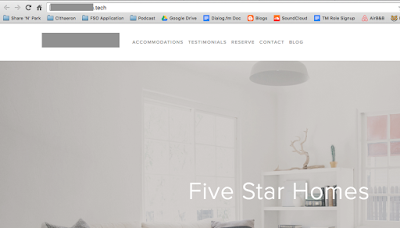 You just bought your own domain name. Now, onto making your website. 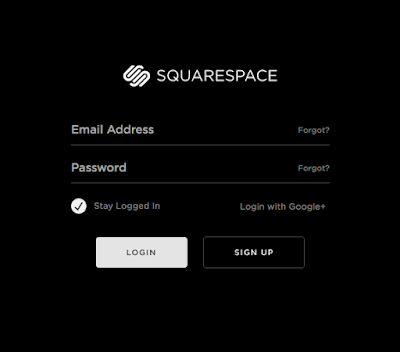 Create a new account on Squarespace. DON'T WORRY: You don't have to pay anything at this point. 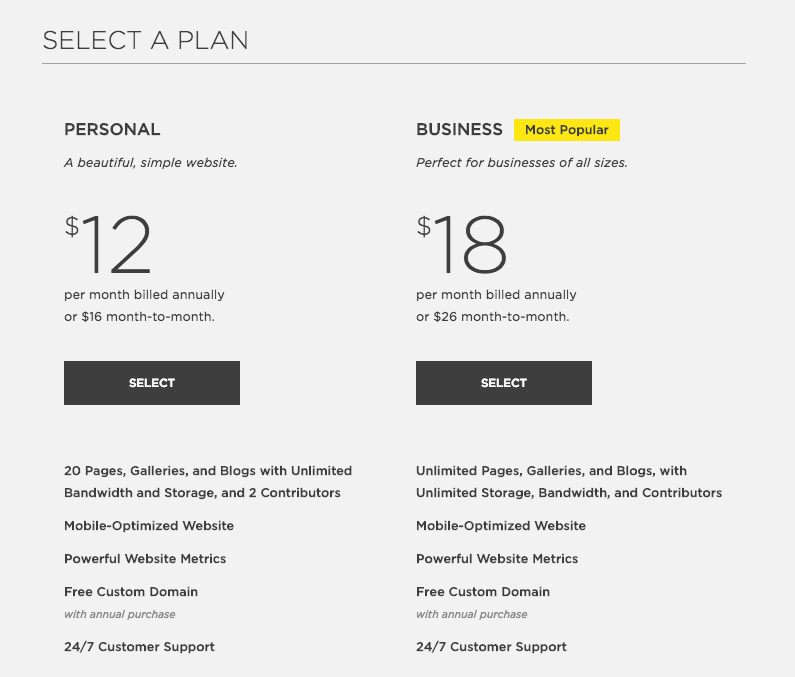 You'll be allowed to try a website for free for a limited amount of time. Browse their templates to find the style that best suits your needs. Once you find something you like, then proceed to purchase. For all three websites, we've selected the "Personal" option, since those are the only features we need for the time being. We can always upgrade when needed. You can pay monthly or get a slight discount by paying one full year in one lump sum. You can get an additional discount with an offer code. I'd recommend using the offer code "HELLO" in support of one of my favorite podcasts, Hello Internet. Make sure you indicate how you heard about Squarespace. Again, I heard about it through Hello Internet, so I want to make sure that they get the credit. 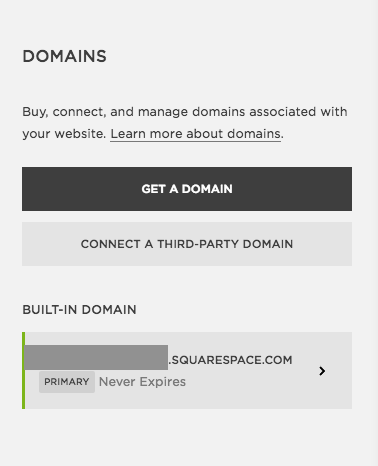 Step 3) Connect the website domain you purchased through name.com with your new Squarespace website. On your new website, go to "Settings." Then click on "Connect a Third-Party Domain." 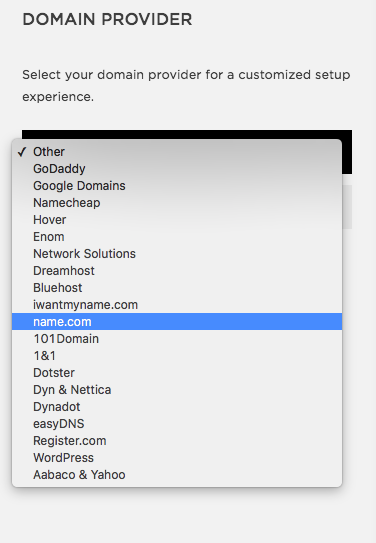 Under the list of domain providers, select "name.com." 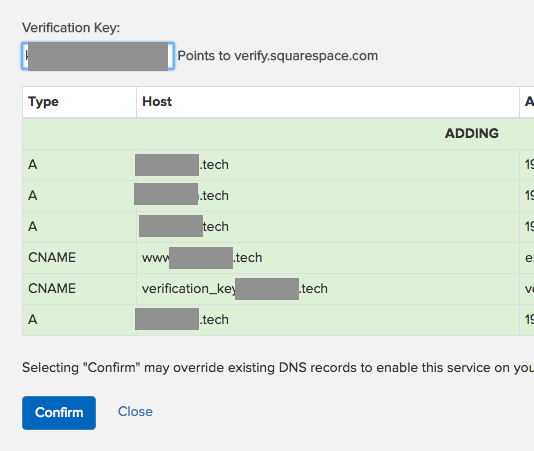 This will populate the DNS settings for your website based on what name.com needs to point your website domain to Squarespace. Again, don't worry. This will all make sense in a bit. Observer the first row of information in your DNS Settings. 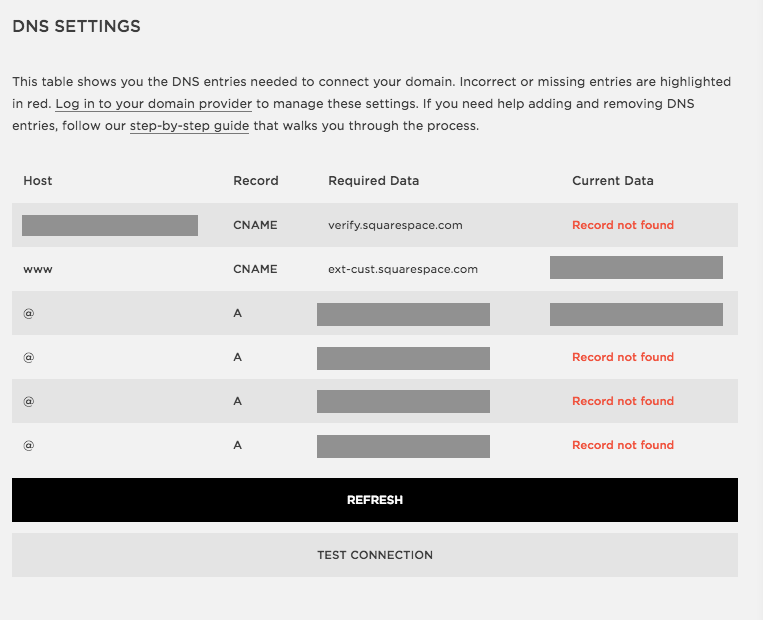 In the third column labeled "Required Data," the cell should read "verify.squarespace.com." Now, look two columns to the left (under "Host"), and you should see a mix of letters and numbers. Copy (Ctrl+C) that entire string of letters and numbers. For the purpose of my own privacy, I greyed out the verification string that was provided to me. 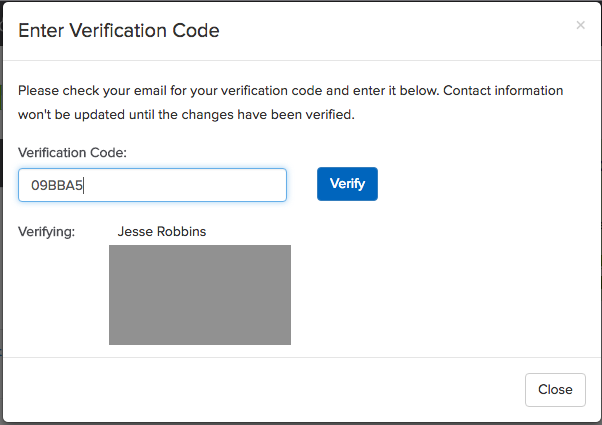 With that verification string copied, go back to your name.com account. 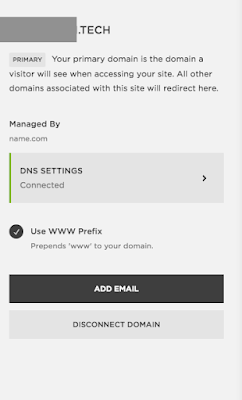 Under "My Domains," you should see your newly purchased domain name. Click into it your domain name. Look to the left-hand navigation menu. 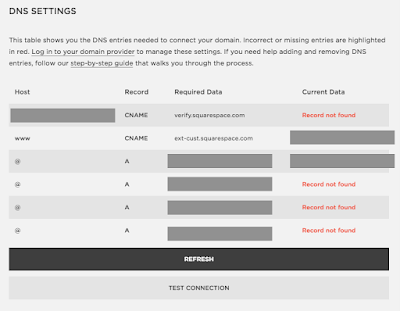 Select "DNS Records." On the dropdown menu that reads "DNS Templates," select "DNS Templates." You will be prompted for a verification key. 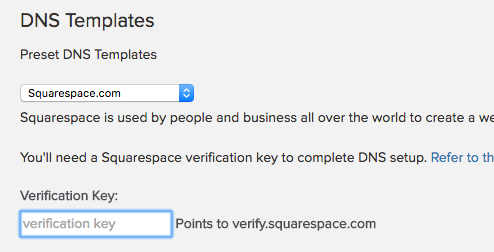 Do you remember the verification string mix of letters and numbers that you copied from Squarespace a moment ago? 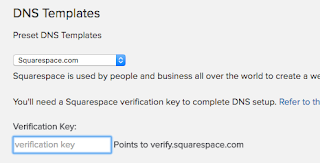 Paste that exact string into the Verification Key field. 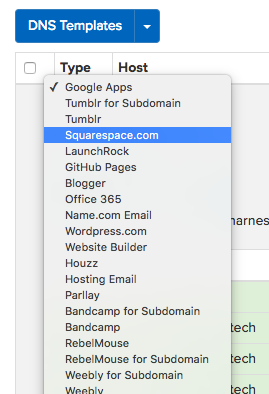 The name.com and Squarespace systems will talk to each other, and, after a couple of minutes, your name.com domain name will be linked to Squarespace. If you're not seeing all greens yet, then you can click on "Refresh" to see if Squarespace accepted the name.com domain. One of my websites took a few minutes. After one refresh, I achieved all greens. as shown below. 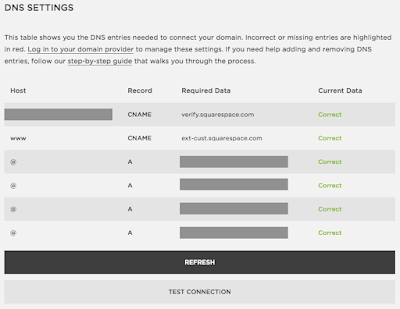 Test out your new domain! Open up a new tab and type in your domain name, and you'll be taken to your new website. In Squarespace, when you go to "Settings" and "Domains," you should see the below confirmation screen that your domain is being managed by name.com, and that your DNS Settings are all connected. Congratulations! Now go forth and build an awesome website.